A lot of people ask if ‘Bowman-Smith’ is my real name or just some nonsense I made because I write in the fantasy genre. So, just to put the record straight, it is, or at least, it was. Bowman-Smith was my maiden name. I have been married for twenty-five years (can’t believe it’s that long) and on a day to day basis I use my married name for all else except the writing. I live in Southern England on the coast, about two roads from the seafront. It is a lovely quiet spot and ideal for writing. I walk on the cliff top most days. However, I was born, (1964… you do the numbers) in the North of England in County Durham, but I have been here since I was six, so I think of myself as a Southern Softie now. Like most writers I cannot afford to be at my desk every day so I work part time as a supply teacher. I really enjoy the flexibility this allows. Often I have a pre-booking and that is great as it means I know where I am going and who I will teach that day. Other times I am on call and then I have to get up really early and wait for the agency to ring. But the best thing about being on call is that, sometimes, there is no phone call. Those days feel like a gift and I always get lots of writing done, probably because I feel a little bit guilty for not being at work! When I am not teaching or writing I do a little artwork. Mostly e-book covers, occasionally CD covers and now and again actual art you need a paintbrush and pencil for. Variety, as they say, is the spice of life. 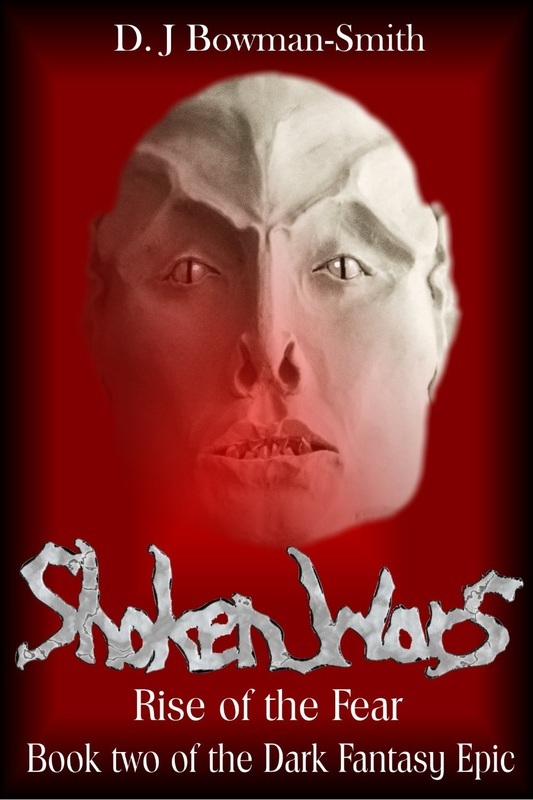 Recently I have just published the second book in the fantasy series Shoken Wars. So at the moment I am really enjoying getting on with book three. There is nothing more engrossing than creating a first draft. Also, I have written some children’s books, Sophie Line ~ Cat Detective. There are two books about this school girl who can change herself into cat and I hope to get some of the other stories I have in my head about her onto a laptop soon. What else? I travelled a lot when I was young, which is probably how the characters and all the different races came to be in the Shoken Wars. These days travel is still an inspiration. I like to get on the back of my husband’s motor bike, I generally don’t ask where we are going, I’m more than happy to hang on the back, watch the scenery and make stuff up. Always got a note book handy when we stop for tea and cake. I have two daughters who are fast growing up. One at University and the other at college. 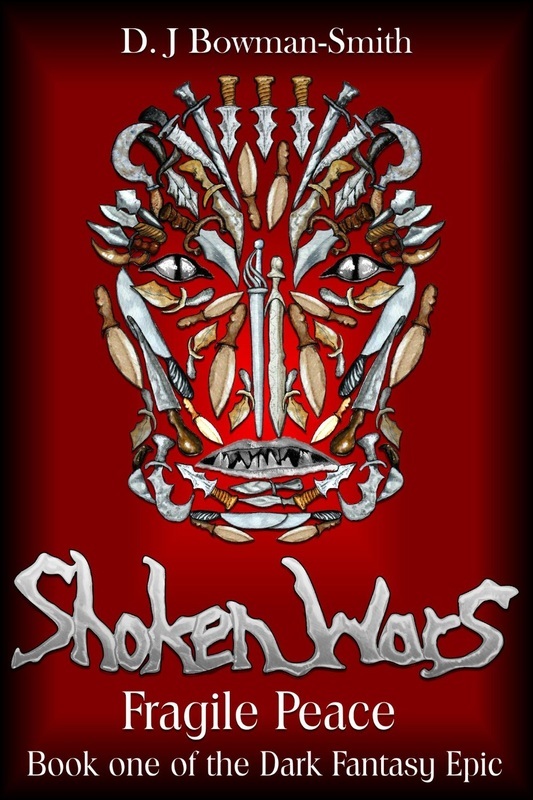 Fragile Peace begins the dark fantasy epic, Shoken Wars. The Land is poised on the edge of a war few shoken believe will come. Most think the Sturgar are extinct, or so depleted in number they would be easily crushed should they venture from their Northern exile. Most shoken are wrong. Mag’Sood, Master of the Sturgar nation, is gathering his army. He begins his war slowly. Soft, unarmed villages and towns are slaughtered, for meat. Few survive and those that do, spread the fear. The shoken King, a shy boy in the people’s eyes, struggles with sovereignty he never wished for. Last of his kind, he is fiercely protected by his Pack of life-bonded soldiers, the Crystal Bearers. Each of the eight are gifted fighters and their leader, Sho, is the most talented of all. She understands that the peace of the Land depends on him. She will do anything to protect him. A gentle River Healer, Orrld, is the sole survivor of a Sturgar massacre. Disorientated and just this side of death, he is brought to the capital, Valkarah, and by chance is taken in by the King’s own protectors. Putting aside grief and a lost identity, he cares for those around him and finds love. Softly spoken and gentle, he seems the perfect companion for the lonely King. This medieval type fantasy is a story of love and war told through the viewpoints of diverse characters, some the victims of circumstance, others leaders. Each has a part to play in the battle for survival that is the Shoken Wars. Rise of the Fear is the second book in the dark fantasy epic, Shoken Wars. War is still a game. Shoken and Sturgar alike are reluctant to meet on the battlefield, each endeavouring to strengthen their armies, and build their allies. Mag’Sood has proclaimed himself a God. Now the Sturgar nation have even more reason to put their faith in him. He continues waging a campaign of ever-greater strength as he casts a net of cunning over all the Shoken races. Who will follow and who will fight depends on whether he can yoke the shoken King to his will. He bides his time, using his unique, unwitting spies to gather knowledge. He learns secrets about the King, kept safe for thousands of years, secrets that he will use to strike at the very heart of his entourage. The shoken King, in love for the first time in his long life, is troubled. Sho, his life friend and leader of his bonded protectors, mistrusts his lover. He knows she will do anything to keep him safe and fears for Orrld’s life. Sho, Crystal Bearer, linegold mover and bonded soldier must face personal conflict between what she believes, and the King's desires. Skilled, brave and loyal, she understands that the peace of the Land depends on whether the King lives or dies. She is willing to sacrifice everything to keep her sovereign safe. Even the King’s happiness, even her life. Sophie Line is not like other girls because she can turn herself into a cat. This is very useful when there is a crime to solve. In this story swans are being stolen and Sophie line, cat detective, must find out why. But can Sophie solve the crime and keep her special powers secret form her best friend Alex? Sophie Line is not like other girls. She can turn herself into a cat. Useful when there is a crime to solve. 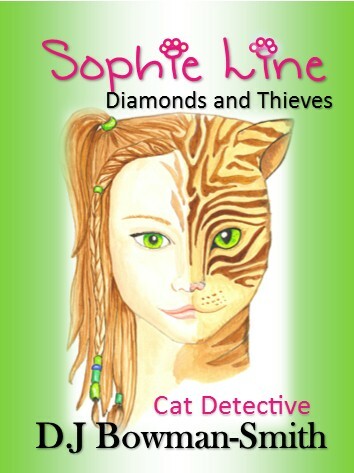 Find out how Sophie Line, cat detective, discovers who has stolen a famous diamond whilst still keeping her special powers secret.